Even the local tourism board had to admit the church attracted a rather unusual crop of visitors. Some came for the novelty, others out of a hazy respect for their fellow man, and some came for more sinister reasons. The last group often turned up after hours, when the gates were locked, the laminated information cards in six languages neatly replaced in their color-coded folders, and the ticket-takers safely home in their beds. About fifty miles east of Prague, the town of Kutna Hora was best reached by a series of country highways pleasantly dotted with fruit stands and artisans selling a patriotic symbol that had been banned under communism: the garden gnome. And in case the Czech place names with their tongue-twisting traffic jams of consonants proved difficult to decipher for nervous travelers in rental cars, handmade signs in English announcing “BONE CHURCH” at every intersection provided easy clues for navigation. Kutna Hora was just another parish in Bohemia until it got the ultimate status bump when a local abbot returned from the Holy Land and sprinkled authentic Golgathan dirt in the abbey’s cemetery. Word got out that being buried in such sacred ground was a shortcut to Heaven. A chapel was constructed on the site, and those who felt death’s cold embrace traveled from far and wide to get last rites and be buried in the cemetery. 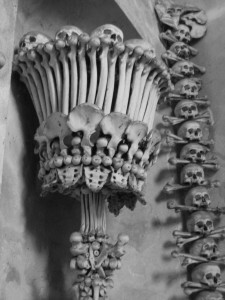 By the mid 1400s, Kutna Hora was the place to die. It didn’t take long for the gravediggers to be overwhelmed, their real estate being, as is true of tony enclaves everywhere, in limited supply. Graves were dug deep into the hallowed ground, coffins stacked up like shoe boxes in a fetishist’s closet, but still they ran out of room. Soon it was time to put out the “no vacancy” sign and hang up their shovels. But, since people paid good money to be buried at Kutna Hora and no one in the hardscrabble area wanted to lose a revenue stream, a solution was quickly found. Older bodies, those from centuries past whose families were no longer around to protest, were exhumed. Treated with the utmost respect, of course, the skeletons were rehoused downstairs in a specially dug crypt, dubbed the Sedlec Ossuary. As one might expect, eventually the crypt too filled up, and due to some annoying geological restrictions it wasn’t safe to tunnel farther. And still people showed up and died. The piles of bones became quite large and prone to topple over. For a holy place, it became something of an unholy mess. But eventually the vogue of being buried at Kutna Hora passed. Though the bones remained, they were out of sight and out of mind, and Kutna Hora was once again just a nice little place to stop and have a beer and a plate of palachinki on the way to market. In the late 19th century a local woodsman was hired to be the caretaker of the church. The woodsman pondered the rather spare main rooms of his beloved little house of God. He had heard of cathedrals in far-off cities bedecked with statues and cornices and sculpted arabesques. It saddened him that his parish of simple farmers and miners wouldn’t spring for a little sprucing up, a little facelift for their place of worship. And the woodsman was horrified by the chaos he found in the basement. So he immediately began to neaten and tidy what he found there. Like the trees he hewed and chopped into manageable lengths, skeletons were untangled and bones were separated by size and shape. Soon there were pyramids of skulls, towers of tibias, and hives of hips. There was symmetry, there was order, and there was beauty. It was a shame, really, that the fruits of his slightly OCD labor were hidden in the basement, and the austere church upstairs was such a poor reflection of the glory of God in the highest. The woodsman got to work. He created a chandelier comprised of every single bone in the human body. He strung phalanges into strings and then threaded them with popcorn garlands of skulls that gracefully arched from nave to apse. He fanned out scapuli like decks of cards to make the bases of monstrous monstrances topped with more skulls. Skulls and crossbones snaked up from floor to ceiling, delineating archways and barrel vaults. The humble woodsman felt his crowning achievement was the holy cross itself, crafted out of skulls and leg bones, with slender arm bones representing the gentle rays of celestial glory. Beneath it he signed his name, in bones, naturally. At first the inhabitants, though awestruck by his initiative and undeniable creativity, were wary of having somehow offended God or their fellow man. These were, they reminded each other, actual bones of actual people. Long dead, yes, but still children of the same Lord and due a certain respect. And yet… were not the woodsman’s displays a form of veneration? Had he not given forebears and strangers alike a sort of eternal, beautiful life for their remains, while their souls safely resided with the angels in Heaven? Also, people came from far and wide and paid good money to see the thing. 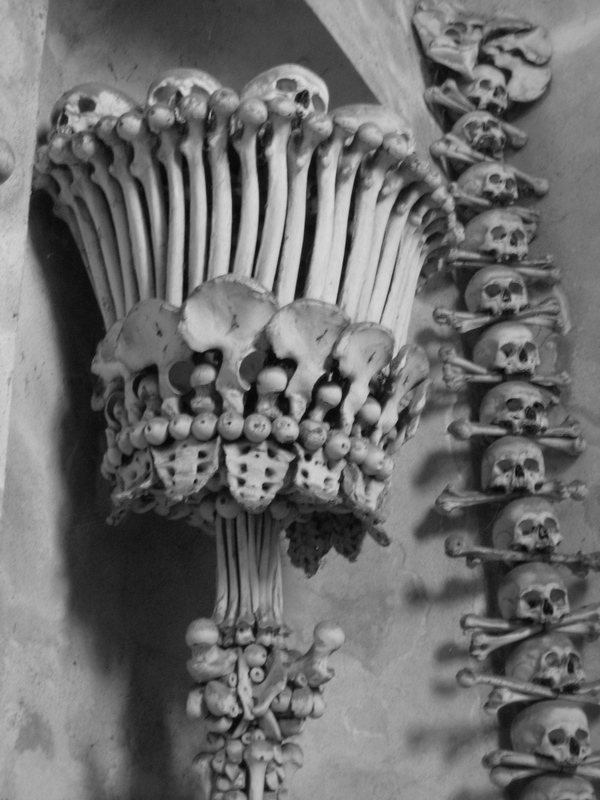 And so the church of bones became one of the Czech nation’s most visited destinations. And if, now and then, a car arrived with a rather serious, scholarly woman at the wheel, and a new skull, or set of ribs, or pair of tibias were discreetly, after hours, added to the neatly arranged piles, who noticed? The Save Venice fund-raiser began as these things do, with Bellinis, with tiny toast points topped with squid pâté, and with swaying musicians playing the greatest hits of Italian opera beneath a fresco by Tiepolo. Sequined women and tuxedo-clad men stepped out of teak vaporetti onto the private dock at Ca’Rezzonico where, it was hoped, strong drink and the thought of beautiful palazzi sinking into the sands below would lift wallets as easily as a child pickpocket in the Piazza San Marco. The organizers were salivating, greeting a German fashion designer, an American hedge fund owner, and a dour British playwright. Models had been hired to improve the beauty quotient, since billionaires are not especially attractive up close. But just after midnight, something had gone terribly wrong. That was when, as one of the carabinieri put it, the cascata dei corpi, or human waterfall, began. It was a minor member of the Saudi royal family who went first, startling everyone around him by emitting a series of hoarse screams and then crashing through a glass window and plummeting out of sight. A billionaire American industrialist, who onlookers at first thought was rushing to save the Saudi, soon joined him. They were the first two. A honeymooning couple from Youngstown, Ohio, being poled up the Grand Canal were startled to see a series of bodies falling from the windows of the glittering palazzo. Inside, panic was raging and it was generally felt that very few that evening distinguished themselves by bravery. 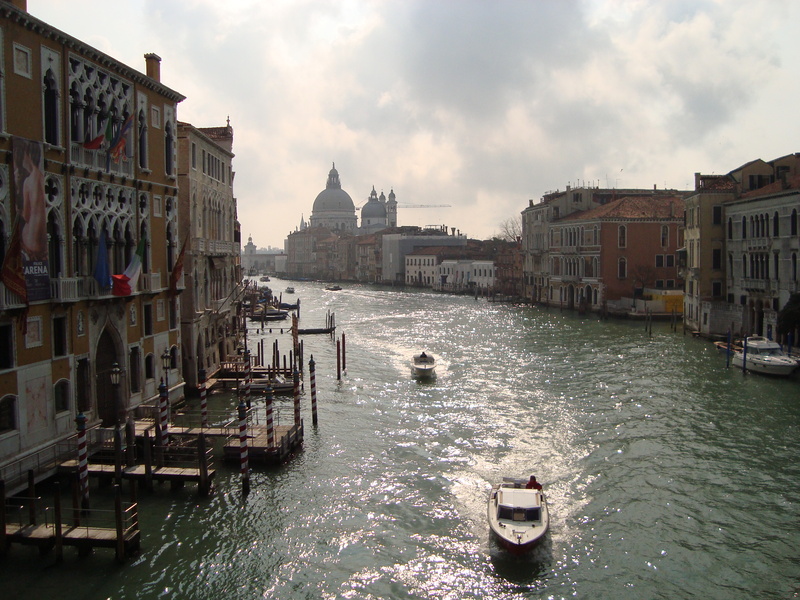 By the time it was over, seven people in formal wear and one waiter were floating facedown in the Grand Canal. Dead. The city was in a panic, though a panic in Italy means most people still stand around coffee bars drinking espresso and Prosecco. St. Mark’s was still very crowded. What had driven these people to suicide? Or were the unfortunate souls already dead when they hit the water? Despite the clamor of an army of international lawyers descending like vultures, demanding the bodies of the dead, Venetian medical examiners were dutifully dissecting and testing the remains, which, since the city’s tiny morgue was full, were being housed in the Church of the Redeemer next door. Its cool marble interior was considered a more dignified choice than a nearby fruit warehouse. Because all of the dead (except the waiter) were foreigners and very, very rich, it was headline news around the world. Camera crews had descended on the city, and the Grand Canal in front of the Ca’Rezzonico was a flotilla of press boats. The local taxi boat drivers were pocketing wads of euros. The latest arrival had been crowds of teenage fans of Hilda Swenson, an eighteen-year-old Swedish pop star whose blond hair had streamed out around her floating corpse like a halo, it was said. Her Chihuahua, who had not been found and was presumed to have survived the fall, was sought by the police. Crime scene analysts and antiterrorism experts had already combed the building and interrogated the caterers. It wasn’t a bomb, it wasn’t a gas, it wasn’t a deadly virus. “What did these people die of?” demanded the American president, who had lost one of his largest campaign contributors, of the Italian head of state. It wasn’t a good answer, but it would allow Il Primo Ministro to save face until he could pressure the damn scientists for a better one.